New Ideas in…: Alekhine's defense (6 part series). The new year brings with it a new Ronen Har-Zvi here on Chess.FM, as we rebrand his poplar weekly show from "New Idea In…" to "Ronen's Opening Survey". And in the first of his new series, our opening expert GM Ronen Har-Zvi shows just how best to handle the sometime difficult Alekhine's Defense with White's most reliable weapon of (1 e4 Nf6 2 e5 Nd5 d4 d6) 4 Nf3 - a solid line used by all the top players that continues to score big for White. 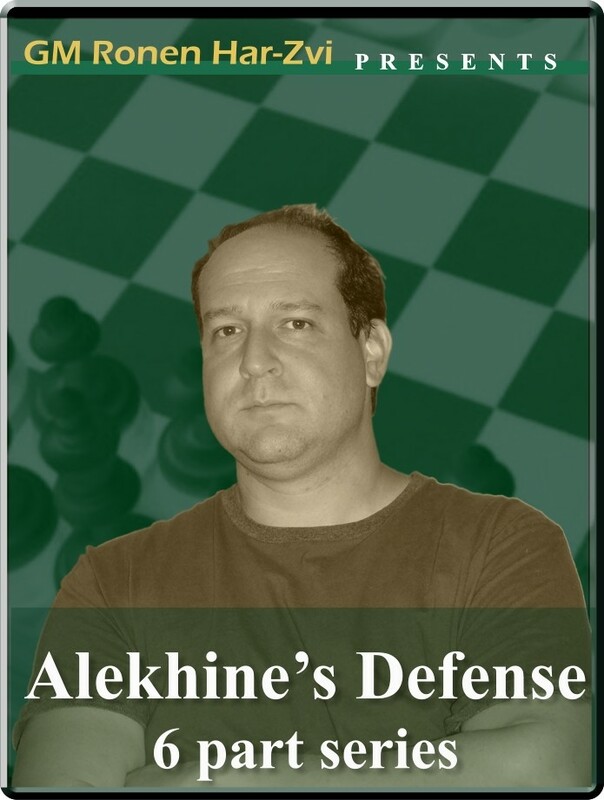 New Ideas in…: Alekhine's defense (6 part series). B02: Alekhine's defense. The new year brings with it a new Ronen Har-Zvi here on Chess.FM, as we rebrand his poplar weekly show from "New Idea In…" to "Ronen's Opening Survey". And in the first of his new series, our opening expert GM Ronen Har-Zvi shows just how best to handle the sometime difficult Alekhine's Defense with White's most reliable weapon of (1 e4 Nf6 2 e5 Nd5 d4 d6) 4 Nf3 - a solid line used by all the top players that continues to score big for White.